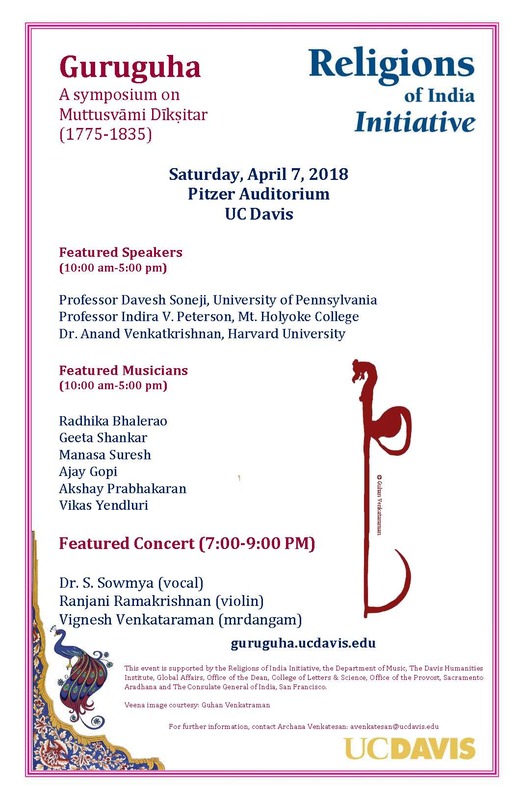 The symposium is on Saturday, April 7, 2018 at the Ann E. Pitzer Center Recital Hall, UC Davis Campus. The symposium is free and open to the public. The evening concert by Dr. Sowmya is ticketed. Please see here for further details. Muttusvami Diksitar (1775-1835) was an innovative composer and virtuoso musician, who lived in south India during a period of transition, change and cosmopolitanism. Deeply erudite, his music is marked by a visionary religiosity and a rigorous intellectualism. He composed over five hundred songs, primarily in Sanskrit, and was drawn to composing cycles or sets of songs. His most famous of these is the Kamalamba Navavarna, in praise of the goddess Kamalamba of Tiruvarur. Diksitar spent his formative years just outside of the port-city of Madras, where his early encounters with British marching bands would find expression in his marvelous Nottu-svarams. Later biographies tells us that he came under the tutelage of an ascetic Chidambaranatha Yogi as a young man, whom he accompanied on pilgrimage. These travels took him to Varanasi, where his knowledge of music expanded to include what we define today as Hindustani music and Hindustani ragas. In his later years, he settled in Ettayapuram, patronized by the local king. 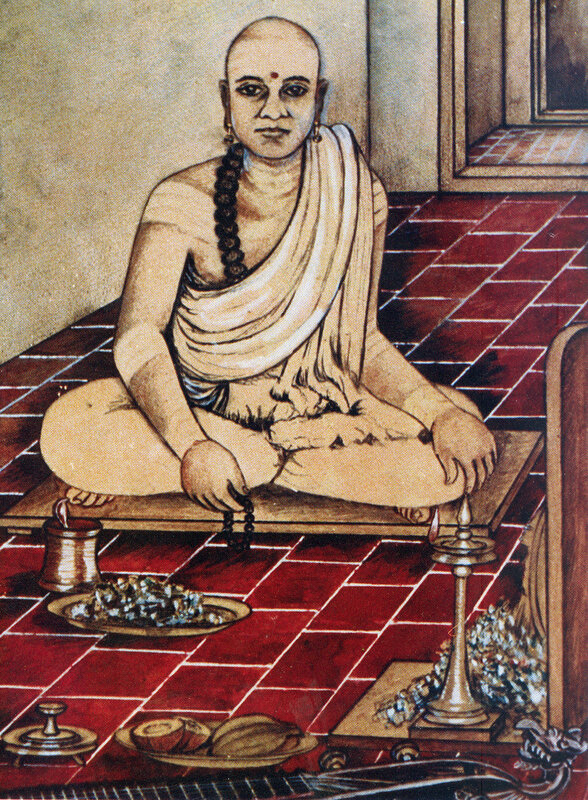 Much of what we know about Diksitar comes to us from a text called the Sangita Sampradaya Pradarshini (1904), authored by his nephew, Subbarama Dikshitar. Among Dikshitar’s most famous disciples are the four composers, Chinniah, Ponniah, Vadivelu and Sivanandam, who collectively came to be known as the Tanjavur Quartet. During Diksitar's lifetime, categories of North Indian and South Indian music, of Hindustani and Carnatic, of dance and concert music were fluid. Musicians, composers, dancers, and scholars participated in multi-pronged, multi-lingual, multi-regional and multi-religious exchanges of musical ideas. Diksitar’s music emerges from this cosmopolitan, polyglot period of experimentation and innovation. The many streams of influence that he readily absorbed ultimately resulted in some of the most far-reaching, moving and visionary compositions produced in south India. This symposium not only celebrates Muttusvami Diksitar’s extraordinary legacy. Equally, his life, his social milieu and his music are invitations to engage with this rich and significant period in the histories of music in south India.